What is the GBP/USD currency pair? The GBP/USD currency pair is composed of the United Kingdom’s pound and US dollar. The base currency is GBP, with USD as the counter currency. The GBP/ USD rate is the British Pound/US dollar currency pair. It is often referred to as ‘the cable’ and is one of the most frequently traded currency pairs. As one of the majors, the pound to dollar rate sports the highest liquidity and the lowest spread in the Forex market. With 1,200 years’ existence and a history dating back to Ancient Rome, the Great British pound is one of the world’s best-known currencies. Originating from the old Latin word ‘poundus’ meaning weight, its symbol derives from the L in Libra. The USD is the world’s foremost reserve currency, held by numerous countries as part of their foreign exchange reserves. It also makes up one-half of seven of the world’s Forex pairs. The US dollar is denoted by the symbol $. 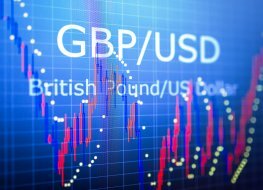 What factors affect the GBP/USD pair? The GBP/USD pair shows a positive correlation to the EUR/USD currency pair, the interconnectedness of the markets, and the countries’ politics mean changes in the EUR/USD usually correlate with changes in the GBP/USD rate. 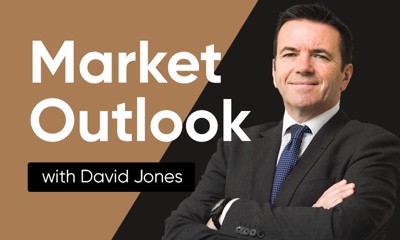 The key players to watch for changes to the GBP/USD rate are the respective financial bodies – the Bank of England in the UK and the US Federal Reserve. Monetary policy announcements, interest rate changes and other key news items can directly affect the volatility of the pair. Additionally, the London City, the London Stock Exchange, and the European Central Bank are all influential factors for this currency pair. The extreme liquidity of the Sterling, GB’s stable monetary policy and overall standing in the financial world make it a popular trading choice, while the USD holds its spot as the world’s most traded currency. Where can the GBP/USD pair be traded? Explore trading on one of the world’s most popular currency pairs and find the latest GBP/USD share price at Capital.com. Get the latest GBP/USD charts and trade smart of this popular currency pair combo. Why is British Pound / US Dollar important to traders? Trade GBP/USD CFDs, other major currency pairs, indices, shares, cryptocurrencies and commodities through Capital.com’s award-winning platform. No commission. FCA and CySEC regulated. Up to 1:200 leverage (professionals only). Available on web and mobile. AI technology. Trade now.